Imagine that you get a well performing and braking road rim in dry and wet conditions with additional bonus - the carbon look. It sounds like a pure marketing but such rims actually exist, we are talking here about rims with ceramic coating. H+Son with hard anode. Those rims are fantastic and well finished but the brake track coating won't last forever. From my experience if you ride mostly in dry, the coating will last for about 5k-8k km. The coating is not ceramic so it doesn't improve braking power in rainy rides. Those are brilliant rims used by me very often but they are not ceramic. Gipiemme Road 155V rims. Similar to H+Son those are hard anodized rims, with very traditional (narrow) internal width and V shape which today seems to be a bit outdated shape. New Mavic Open Pro Exalith. These rims seems to be very promising, although not released on the market yet (as of July 2018). They are not ceramic but hard anodized, however Mavic claims that the coat is very solid and will last long (deep anode?). The rim shape and look ticks all my boxes so that might be very interesting option once it's finally released. Various shops offer ceramic thermal spray on standard aluminum rims. My advice - stay away from that as this is the least durable option. The ceramic coat will start to wear off after first rainy ride. Old Mavic Open Pro. These were pure ceramic coated rims but they are not anymore on the market. You can still find them in some on-line stores as NOS (New Old Stock). They are fine for vintage bikes but not so great for modern bikes. The rims are shallow and narrow and due to flex, available only in 32 or 36 drilling. In the beginning of this year I had couple of inquiries regarding ceramic rims and honestly I didn't have a good product in my offer. This led me to the proper research and as a result I came across Boyd products and company itself. I also met Boyd and Nicole during Eurobike show and had the good discussion about their company, vision, products and service. Overall I got really impressed by their overall achievements and company build. Being ex. road racer, Boyd's approach is to deliver high class wheels, rims and hubs into the market and he is very successful in that so far. 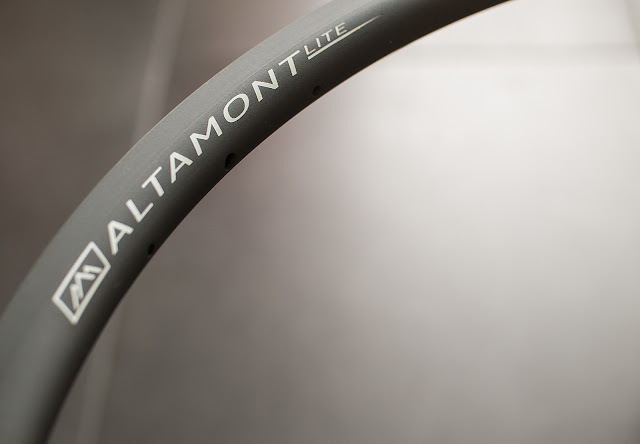 So the first type of Boyd's rims came to my stock - the ceramic Altamont lite. I believe they're closing very well the gap in my offer between standard aluminum rims, standard carbon rims and carbon rims with graphene braking surface. Those ceramic rims are dedicated for the people who'd like to have well performing wheels in any road conditions with nice stealthy look of carbon. The most important is the ceramic coating. 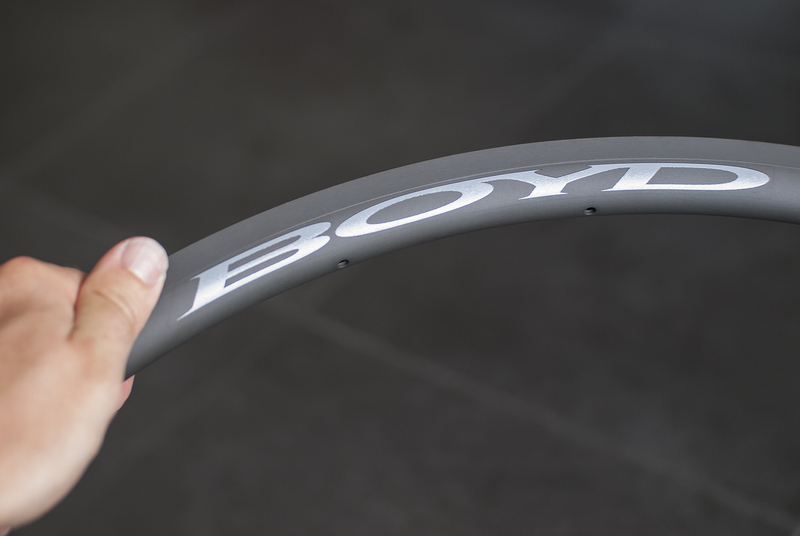 As proven and described by Boyd, those rims with PEO coating will last very long when used with Swissstop BXP brake pads (delivered together with the rims/wheels). Keep the rims clean and you'll enjoy the ceramic benefits for many thousands of miles on the road. Rim Shape. 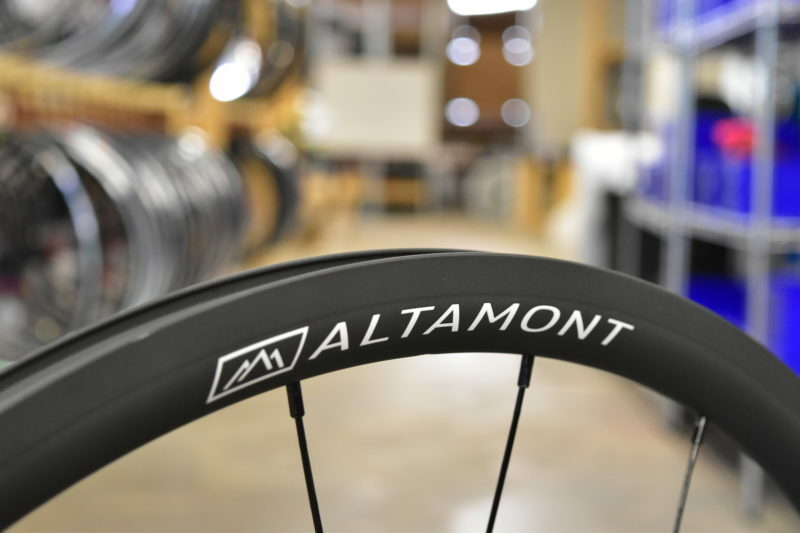 The internal rim width is 19.86mm. This increase in width allows for a much better tire shape. The better tire shape improves handling, aerodynamics, and vibration dampening due to increased air volume. The rims were specifically designed around a 25mm tire but of course 23mm or 28mm tires will work as well. Welded Seam. The welded seam makes an extremely strong connection where the rim joins itself. It also provides very smooth and consistent braking without any seam hitting the brake pads. Welded seams helps to make the strongest possible rim. Rims are on stock in my shop. Their are available in 20h and 24h version. You can pair them in 20/24. or 24/24h configuration. 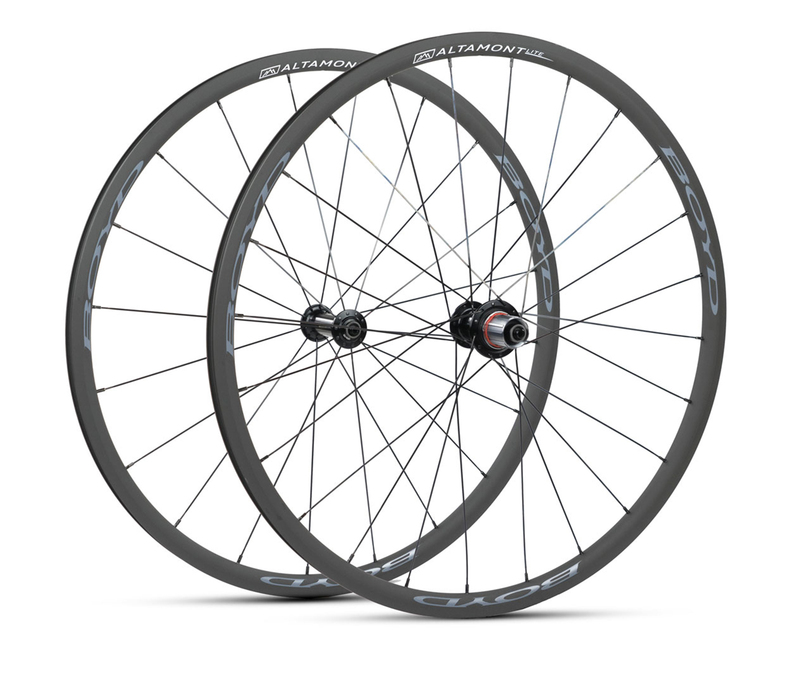 The complete wheel-set starts from 650 CHF with Bitex hubs and D-light spokes. Weight sub 1400g makes those wheels excellent all rounders good for racing and general riding in any weather conditions. Wheels are delivered with original rim tape and Swiss stop BXP brake pads. More build options with Aivee, Bitex, DT Swiss and Soul-Kozak hubs possible. Just drop me an email if you're interested. As a conclusion, it you're looking for stiff, light, stunning looking wheelset with excellent braking performance in all weather conditions then those are for you. The beauty of custom wheel-building is that I'll match the configuration for your needs and your budget. Grab a pair and enjoy the new quality of road bike ride! If you're interested in any other product from Boyd then drop me the message. I'll import them from US for you with attractive pricing.